Who needs to purchase a ticket? Wednesday, Sept. 4: Everyone ages 16 and older. Kids ages 15 and under receive free admission with a paid adult General Admission ticket. Thursday, Sept. 5: Everyone, regardless of age, must hold a ticket for a Reserved Seat. General Admission ticketholders will have first-come, first-served access (no assigned seats) to the Northeast Vista, the permanent grandstands outside of Turn 3 of the IMS paved oval. Kids 15 and under are admitted free with paid adult General Admission ticket. Thursday General Admission ticketholders cannot access the IMS infield and cannot purchase Pit Pass Upgrades. Does everyone need a Pit Pass Upgrade to enter the Pit Area? Yes, all guests need a Pit Pass Upgrade regardless of age. Pit Passes Upgrades are not valid for gate admission on Wednesday, Sept. 4 or Thursday, Sept. 5. All Pit Pass Upgrade customers must sign a waiver in order to gain admission to the Pit Area. Optional add-on for Wednesday, Sept. 4 General Admission ticketholders. Fans must hold a Wednesday, Sept. 4 General Admission ticket to add-on the Wednesday Pit Pass Upgrade. Optional add-on for Thursday, Sept. 5 Infield Grandstand reserved seat ticketholders. On Thursday, Sept. 5 fans must first hold a Reserved Seat ticket before purchasing a Pit Pass Upgrade. Fans who hold a Thursday General Admission (NE Vista) ticket cannot purchase a Pit Pass Upgrade or access the IMS Infield. The Pit Pass Upgrade is not valid for gate admission. What does the Pit Pass Upgrade allow access to? The Pit Pass Upgrade allows access to the trackside area as well as the Pit Viewing Mound. What is the age requirement for pit access? There is no age requirement for pit access. Pit Passes Upgrades are required for pit access but are not valid for gate admission on Wednesday, Sept. 4 or Thursday, Sept. 5. What is the schedule of events for Wednesday, Sept. 4 and Thursday, Sept. 5? Coolers are not allowed in the General Admission or Reserved Seating areas. Coolers are allowed inside parking locations. What are the gate regulations for the Driven2SaveLives BC39? Special gate regulations that are in place for Driven2SaveLives BC39 event include: limited to a sealed one liter bottle of unfrozen water, an empty reusable water bottle and a clear one gallon bag containing food items. Camelbacks are not allowed. Where is the Start/Finish line located? In front of the Shaw Grandstand. Daily auto parking is available in Lot 7 (North 40) and can be purchased on IMS.com or the IMS Ticket Office. Parking is also available on site for $10 per day. Access the Lot 7 (North 40) via 30th St. (Gate 10); parking is just north of the IMS oval. Infield (N Lot) parking is also available for $25 per day or $40 for 2-Day pass. Infield parking must be purchased in advance, no on site sales for infield parking. You must hold a Thursday Reserved Seat (Shaw Grandstand) or a General Admission ticket and Pit Pass Upgrade to enter the infield. Access the VIP infield parking via 30th St. (Gate 10), parking is inside of the IMS oval. Where is ADA parking located? ADA Parking is available for $10 behind the Northwest Vista and is accessible via 30th St. (Gate 10). Infield ADA Parking is available in the IMS Infield for $25 per day or $40 for a 2-Day Pass. Infield ADA Parking must be purchased in advance. Infield parking must be purchased in advance, no on site sales for infield parking. Access infield ADA Parking via 30th St. (Gate 10). How do I access my Print-At-Home tickets? Your Print-At-Home ticket will be delivered via email mid-August to the email address provided at time of purchase. When will tickets be mailed out? Tickets will be mailed out beginning mid-August 2019. Where are Will Call locations? 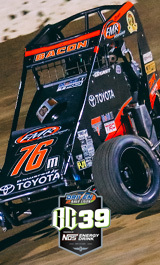 Will Call is located at the IMS Ticket Office (9 a.m.-5 p.m.) in the IMS Administration Building at 4790 W. 16th St., Indianapolis, IN 46222, just east of the roundabout at Crawfordsville Rd. and 16th St. and on event dates at the mobile ticket offices (TBD) located at Gates 9 and 10 and inside the IMS oval.